Prices are also subjected to change without prior notice. Do call us at 019-3559448 for more information. is ur price is included with insurance?? Yes audi, it is. OTR Price means On The Road price, inclusive of 1 year insurance + Road Tax (everything). You don’t need to pay any extra money out of pocket. Salam,sy nur.. Saya kerja swasta,sudah ada lesen L,sdg tunggu lesen P.Gaji saya bersih rm1500 masih lag dlm contract,permanent end of this year baru akan include other allowance for transport+house and etc around rm600;rm900.Kalau saya deposit rm6000-rm7000 utk kereta saga FLX 1.6 SE monthly rm berapa 9tahun or 7tahun?terima kasih. Hello I am as. Is it possible for me to buy a car with 0 down payment? Monthly net pay is 1850. Do I need guarantor? This is my first car. Is there any fees I need to pay such as insurance or member fee? Hi Azuwa, yes you are eligible. Kindly let us know which model of Proton Saga you are interested with. you can reach us at 019-3559448 for more information. I want to buy Standard 1.3 (S). Salary RM2.2 k per month. Interested to get full loan. What is the quotation ? Hi there, please check your email. hi,saya nak beli proton saga FLX, saya mahu trade in dengan kereta saya boleh tak? toyota unser tahun 2004? is the price same for Kuching area?? can we do 0% down payment?? The price should be slightly higher. 0% down payment should be depending on your eligibility and net pay. Im a fresh graduate who not earning formally, i give tuition and earning. can i apply for the loan? Hi there, you need to get a guarantor if you would like to purchase a car. but if my guarantor does nt pay income tax also cn? Wasalam, kalau masalah sudah diselesaikan, mungkin ada harapan. Seelok-eloknya 10% tetapi ia bergantung kepada kelayakan saudari. Jika berminat atau ingin bertanya, boleh email or call 019-3559448. Salam adzham, pihak kami boleh cuba dapatkan pinjaman bagi 9 tahun. Boleh sediakan dokumen salinan ic, lesen, pay slip 3 bulan dan bank statement 3 bulan. Hubungi kami di 019-3559448 untuk membuat temu janji. As salam….saya sekarang pakai Viva manual 850. kalau saya nak tukar saga flx 1.3 executive (solid & manual) bagaimana? Wsalam miss zue – tiada masalah disitu. Pihak kami boleh menguruskan proses trade in tersebut. Jika miss zue berminat untuk bertanya apa-apa soalan dengan Proton dealer kami, sila hubungi kami di 019-3559448. Hi, i juz wanna ask u how much is minimum salary to apply for model Saga Executive 1.6.Thank you. Hi Jaja, it depends on your working status, the company you are working at, your down payment, etc. On average, bank would want you to have at least RM 2,000 nett pay. Let us know if you would like to purchase from us. Hi Guys, Me again and it’s confirmed. I want to get the saga flx se 1.6 @ RM 49,899 under 9 years loan. I dont have a degree but my basic is 2k and my monthly bonus is between 300-600 every month. Is it possible for you to assist me to apply for the loan? -What documents do i have to submit and how do i submit them to you? -What are the promo/discounts and freebies that comes along with the saga? -how long is the current waiting time for the car? Cos i would need it maybe near the start of July. Hi AJ, kindly check your email. We have sent a price quotation to your email. Thanks and we look forward to hearing from you. hi…im miss yee…i want to ask, if i want loan proton 1.3 standrad auto how much at montly loan?my salary is 1.5k..need downpayment how many?1k or 3k?if without downpayment can? Hi miss yee. We would advise you to pay a higher down payment (3k if possible) as it would help you in getting an easier loan approval. Kindly give us a call at 019-3559448 for more information. PS: If you would like to make a full loan, we can apply a loan under graduate scheme for you. Salam bro…..harga takkan xbleh kurang kot…..xkan xde rebat utk kakitangan kerajaan…..
Wasalam, bro, boleh call pihak kami untuk berunding tentang promosi yang sedia ada di 019-3559448. I want to get the saga flx se 1.6 @ RM 49,899 under 7 years loan. I will may be try to pay downpayment 20-25% if possible. I m currently earning basic salary at 1.4K every month. can you guys let me know which bank is currently offering the best interest rate.? Hi Magaleswari, no bank would offer you such interest rate. It is only offered for non-local cars. The best interest rate we got was 2.8% but the average is 2.8-2.9%. Based on your basic pay. 20-25% down payment is required otherwise you would need to provide a guarantor. Kindly give us a call at 019-3559448 if you have any questions. We advise you to make an early booking as the estimated waiting period is around one month for (white and more than a month for Red. I’m considering buying the proton FLX 1.3 brown colour…like the top picture…automatic…could you please let me know the price…monthly instalment…i’m taking a RM30,000 loan…the rest i pay by cash…7 year…interest charge…preferably from Maybank…near…very convenience. Hi Khu, we will send you a quotation shortly and yes we can help you to get a loan from Maybank. It should not be a problem and please let us know if you have any further questions. Kenapa monthly installment bg FLX Executive 1.3 (S) lg mhal dari FLX Executive 1.3 (M) ? Bkn metallic ptut lg mhal ? Salam Muhd Fauzi, ya anda betul, pihak kami tertukar harga antara dua model tersebut. Pembetulan telah dilakukan dan terima kasih kerana memberitahu pihak kami. Adakah tuan berminat untuk mendapatkan model ini? Hi,my name is Vincent. I am a university student who does not have any properly job or salary.But after a few years saving.I want to buy a executive saga flx CVT with downpayment RM10000 and installment for 7 years.How much is the interest?How much i need to pay for one month?Thanks for the information. You need to ask your parent (mom/dad) who’s working to be your guarantor. Otherwise, you won’t be eligible to apply for any car loan. If they can be my guarantor how about the interest? The interest rate should be around 2.85-2.9% depending on their eligibility. Kindly call us tomorrow so that we can discuss this matter in more details. Hi, I plan to buy Saga Executive 1.3 without downpayment,installment for 9 years,nett salary rm 1,850.00.Can I get bank loan approval? Yes sure, kindly check your email as we have sent you the quotation. Feel free to call us if you have any further question. Thanks. Hi, I plan to buy Saga Executive(S) 1.3 without downpayment,installment for 9 years,nett salary Between rm 2,050.00 – 2300. And one more thing was i only got two month payslip, Can I get bank loan approval? Hi Heaven, yes sure. It shouldn’t be a problem and you can apply under graduate scheme. Do you need a quotation from us? Feel free to contact us at 019-3559448 if you are interested. if my salary is RM1.3k,so i need to pay the down payment or not? you can apply without paying any down payment but you need to provide a guarantor since your salary is below RM 1,500.
i plan to buy Saga FLX Executive 1.3 (M) CVT without down payment, installment for 9 years,my salary between rm1.3 – 1.6,can i get bank loan approval? but i don’t have bank statement, just got month payslip,still can work? Hi there, what’s your email? We can send you a price quotation and based on your basic pay and yes you can apply 0% down payment under graduate scheme. Just provide your ic, license, pay slip, bank statement (if any) and job offer letter. If you are working under contract, you may need to have a guarantor. you said want the graduate scheme, i got lcci cer, it ok? then if my salary got rm1.6k,then still need guarantor or not? then i want to ask, got any fee want to pay when i want to buy the car? 1) klu sy nk beli 1.3(m) exec solid, zero downpayment. gaji basic rm1400. 2) sy nk beli model yg sama, tapi trade-in Viva Elite., baru setahun pakai. Hi Zack, pihak kami anggarkan baki hutang viva tersebut masih tinggi dan zack perlu bayar dalam 5-10k untuk trade in. Berdasarkan gaji sekarang, mungkin zack perlu sediakan penjamin. 1) saya berminat nk beli sporty saga flx se 1.6 utk 9thun, basic dalam 1400 ..fyi saya lepasan diploma .. rasa2 bole tk dpt full loan, klu bole zero downpayment ..
Tuan boleh dapatkan pinjaman penuh tetapi tuan perlu sediakan penjamin kerana gaji tuan tidak memenuhi syarat. Jika berminat utk berurusan dengan pihak kami, sila hubungi kami di 019-3559448 atau kami boleh emailkan quotation ke email tuan. Bulan boleh cek email yea? Quotation sudah kami hantarkan ke email bulan. okay, well received . thank you very much ya. apa2, bulan feedback kat encik ok,. hi..can i get quotation for saga flx 1.3cvt and 1.6cvt se..with downpayment RM1500..9 yrs payment duration and with current interest rate? thanx.. Please check your email. We have sent you the details. Thanks! Hi, I wanna ask Saga FLX 1.3 exe cvt the interest rate is 2.9% fixed? I asked a Protn dealer nearby and he gave me 3.25%. So which is the rate? What is the basic salary that I need to buy this? If the downpayment is 20%, 5yrs payment duration, how much I need to pay for each month? Hi there, the dealer must not be reliable. The average interest rate we have had for our clients is around 2.9% and the lowest is around 2.85% for 9 years loan. If you are going for 5 years loan, the interest rate should be roughly lower. Do contact us if you are interested and we will send you a quotation to your email. Thanks. saya nk tnya saya berminat nk beli saga flx se 1.6 utk 9thun, basic gaji 2.1k. lepasan ijazah. baru 8 bulan kerja. agak2 boleh dapat full loan? Wasalam, boleh sangat2. Pihak kami boleh bantu and hubungi kami di 019-3559448. Kami akan hantarkan price quotation ke email tuan sebentar lagi. hi, sya myra, i want to ask is it possible to buy a saga car without down payment? Wasalam ahmad, bayaran muka terendah adalah 0% dan saga flx auto standard adalah yang termurah. Sila check email kerana pihak kami telah hantarkan quotation harga ke email tuan. Terima kasih. Salam, saya nak jual proton blm saga 1.3 auto- m line -ocean blue- tahun 2009- RM 27K – sila telefon. 0123733412.
hai, sy nk tny sy berminat nk beli saga flx 1.3 exec cvt tp gaji bersih sy cuma RM13++ layak ke dptkn loan n perlu ker ada penjamin…n then sy nk byr downpayment dlm 8k…. n how about the interest rate?aritu sy ada survey kat satu tmpt ni dier pny interest 3.15…blh ker sy dpt lg rendah dr tu? Salam and Hi Ida, yes saudari perlukan penjamin. Interest terkini adalah 2.88% bagi kes saudari kerana bayaran lebih daripada 10%. Sila check email saudari dalam masa terdekat kerana pihak kami akan hantarkan harga kereta dan details kereta tersebut. sy berminat flx 1.3 standard auto..lets say down payment around 8K duration 9years..brape ye installment..
Hi maya, pihak kami telah hantarkan quotation ke email saudari. Wasalam, pihak kami telah hantarkan maklumat lanjut ke email tuan. Terima kasih kerana menggunakan perkhidmatan kami. saya berminat dengan saga flx standard 1.3 (s) dari sarawak. adakah saya sebagai penjawat awam layak sekiranya basic saya hanya 1k plus. FYI, keluarga saya nak sambung bayar keta viva 850 saya. baru 2 thn. axe, you perlukan penjamin untuk mendapatkan kelulusan pinjaman. hye there can you send me ur quotation i prefer graduan scheme. Salam faruq, which model are you interested with? Can you kindly specify the model and email it to us? Thanks. salam…saya berminat ngan saga flx 1.3 auto standard. Kalo ikat loan untuk 5 tahun dan installment rm400 sebulan, berapa downpayment perlu saya sediakan? Saya jenis yang tidak suka berhutang lama dan berhutang besar. Jika ada cadangan lebih baik untuk saya sila kemukakan. Terima kasih encik. kalo sy skang di johor boleh ke sy berurusan dgn en.ihsan? salam..saya fresh graduate dan start bekerja july ni ngn cmpny swasta ngn gji basic rm1800,layak x utk loan..then,ade x application utk yg gradhitz? sy berminat yg executive 1.6 (s),layak x ngn basic 1800..dan boleh guna application gradhitz x bg fresh graduate? Salam saudari, berdasarkan gaji yang dinyatakan, pihak kami boleh cuba bantu. Sila check email saudari kerana pihak kami telah hantarkan quotation bagi model tersebut. Berapa lama waiting period untuk FLX SE? hi.. I wish to get a saga flx 1.3 executive with 0 downpayment, my salary is Rm 1500.. may I know about the requirements? what is the interest rate? 9years installment and how much should I pay for 1 month? Hi mike, we have sent you the quotation. Please check your email. Thanks! salam….saya kakitangan kerajaan menetap dan berkerja di salah sebuah daerah di negeri johor.Boleh kah saya membeli kereta melalui syarikat tuan? Gaji poko + elaun Rm15++.00 dan gaji bersih hanya Rm7+++.++. jika saya membayar downpayment Rm17800.00 untuk kereta saga executive 1.3(M) CVT berharga RM45211.00,layakkah saya membuat pinjaman tanpa penjamin (penjamin susah nk dapat) dan berapakah bayaran bulanan yang patut dibayar selama 9thn? Wasalam zam, bank amat ketat dalam memberikan kelulusan. Bank menetapkan jika gaji bersih di bawah RM 1,500, pemohon perlu sediakan penjamin. Jika tidak, memang kami sukar utk bantu. salam,sy pekerja swasta,gaji bersih rm1300,sy ingin beli saga flx 1.3 stndard(MT),lepas tak?kalau kena pasang penjamin,penjamin sy keje gov,tp bru keje,hampir sebulan..adakah lepas permohonan sy?sy berada di johor bahru..sy ingin membuat full loan,0 downpayment..
Wasalam, tuan tidak perlu risau jika tuan ada penjamin. Pihak tuan juga boleh apply pinjaman melalui skim graduasi. Hubungi kami di 019-3559448 jika tuan berminat untuk menggunakan perkhidmatan kami. saya ingin bertanya jika saya nak apply graduate scheme boleh tak since basic saya 1.6k n saya baru mula bkerja..boleh tak 0 downpayment, or saya kena letak down payment. n jika saya letak downpayment, masih boleh pkai scheme graduate tk? kalo pay slip saya ade sebulan je mcm mana? Wasalam, saya telah emailkan quotation ke email saudari. Saudari boleh apply loan under skim graduasi tanpa sebarang masalah. Hubungi saya di 019-3559448 jika saudari berminat. Wasalam, bergantung kepada gaji bulanan saudari. Jika boleh, provide salinan ssm, bank statement 3 bulan, salinan IC dan salinan lesen. Jika saudari berminat, boleh hubungi saya En Ihsan di 019-3559448.
untuk bulan jun ni memang rebate rm1k jek ke..
Bergantung kepada model. Memang promosi proton amat kurang. Saya nak beli saga 1.3CVT pd bulan july. Ada promosi ke? Promosi bulan hadapan akan keluar pada bulan hadapan dalam minggu pertama. Wasalam fiza, apakah model kereta yang saudari berminat? Pihak kami cuba mencari email saudari tapi tak jumpe. Pihak kami boleh hantarkan sekali lagi. Salam, pihak kami sudah email kan quotation dengan semua detail yang diperlukan. Sila hubungi semula jika tuan ada sebarang soalan. Pihak kami boleh cuba dapatkan pinjaman tanpa menggunakan penjamin terdahulu. Jika bank memerlukan penjamin, baru tuan kena prepare dokumen penjamin. Jika tuan memang ada penjamin, ia amat membantu utk tuan dapatkan pinjaman dengan lebih mudah. Bank statement sahaja? You bekerja sendiri ke? Berapa purata gaji bulanan? Salam Taufiq, pihak kami tidak beberapa pasti dengan keistimewaan yang ada bagi pihak tuan. Tuan boleh check dengan Proton Branch utk dapatkan maklumat lanjut. If you already have the job offer letter, you are able to apply for the loan. You just need to provide the copy of the letter, copy of IC, license and the document that indicates that you’ve completed your degree. Give us a call at 019-3559448 and we can help you with it. Thanks Rai! Wasalam nurul, kami dah emailkan segala maklumat penting. Sila hubungi kami di 019-3559448 untuk mendapatkan maklumat lanjut. Terima kasih. can i get loan interest lower than 2.8% if I pay down payment Rm10,000 for Saga FLX Exec MT Non Metalic.Let say my basic salary are RM4.300, without any loan record for last 7 years. For local cars, we doubt you can get lower than 2.8% and we can apply the loan from few banks and we’ll get the best rate for you. You just need to prepare the required documents such as copy of IC, license, pay slips 3 months, and bank statements 3 months. Berapakah minimum gaji pokok bagi memenuhi syarat pinjaman untuk FLX SE? wasalam, seelok-eloknya, gaji basic at least RM 2,000. Jika tuan berminat utk menggunakan perkhidmatan kami, sila hubungi kami di 019-3559448. Basic gaji saya hanya RM1980. Tolak EPF/Socso, gaji bersih dalam RM1.7k++. Saya boleh buat bayaran deposit dalam RM5k. Rasa rasa boleh lepas tak loan untuk FLX SE (M)? Pihak kami dh hantarkan quotation ke email tuan. Berdasarkan maklumat yang diberikan, anda sepatutnya layak mendapatkan pinjaman. Hubungi kami jika tuan sudah bersedia. Thanks ya! Salam nasrul, jika tuan ingin apply loan 100%, interest rate adalah fixed iaitu 2.98%. Jika tuan berminat, boleh hubungi pihak kami. Sila check email kerana pihak kami sudah hantarkan quotation. Thanks! Helo, I plan to buy Saga Executive 1.3 (cvt) without downpayment, installment for 9 years with nett salary of rm 1,800. can i use one month payslip and get bank loan approval for it? Hi there, you can use one month payslip and you don’t need to worry about getting approval. Your nett salary is fine and kindly check your email. We have sent you the quotation. Give us a call anytime when you are ready. Wasalam dayang, pihak kami tiada dealer di sarawak and oleh itu, pihak kami tidak boleh membantu saudari. Kami memohon maaf disitu. salam, sy berminat nk ambil proton safa flx se 1.6 without dp cz baru bekerja sbg guru. gaji bersih 3k. berapa bulanan yg sy kna byr? & berapa lama proses yg diambil utk mengeluarkn kereta? Wasalam khumaira, we have sent you the quotation to your email. Please note that the waiting period depends on the color you choose. Biasanya 2-3 minggu boleh dapat kereta dah. Kalau saudari berminat untuk mendapatkan kereta dengan segera, lebih elok utk saudari hubungi kami di 019-3559448 untuk membuat booking. Dass, parent awak boleh jadi penjamin? Seelok-eloknya, gaji penjamin hendaklah lebih tinggi daripada gaji awak. Umur awak berapa yea? Keje di company ape? Hi! I’m thinking of zero down payment…my basic salary is rm2200 and I don’t have any other loan…so,do u think it’s possible that way? Hi alyce, your basic salary is fine. You can apply a loan under graduate scheme and the interest is only 2.98%. Give us a call at 019-3559448 anytime you are ready. If you need a quotation, kindly specify the model and the amount of down payment you are able to pay up front. Thanks. Sy igt nak keluarkan saga flx executive manual…sy keje goverment gaji bersih dlm RM1000..dan adik sy bersetuju untuk menjadi grantor gajbersih dia dlm RM2200..klu downpayment 10% xder masalah bg saya cuma nak tau layak x sy.nak buat pinjaman utk keluarkan kete sblm raya nnt tq. Wasalam firdaus. Kalau firdaus sudah ada penjamin, ia tidak menjadi masalah dan firdaus juga berkerja dalam sektor kerajaan. Jika firdaus berminat, firdaus boleh hubungi kami di 019-3559448. Jika firdaus baru berkerja kurang daridapa setahun, dan mampu membayar 10% down payment, interest rate nya adalah 2.88%. saya berkerja di jabatan kerajaan,gaji pokok saya adalah rm1579.83 setelah di potong tggl rm 967.83 sahaja..jd layak x jika sy ingin membeli saga flx standard dgn mengguna seorg pnjamin iaitu ibu saudara saya yang juga berkhidmat dalam jabatan kerajaan?berdasarkan pada lebihan gaji adakah saya perlu buat d/p? ?dan berapa % d/p yang perlu saya buat? ?cuma bertanya sekiranya xlayak, xmenjadi masalah..tq :)..
Saudari perlu dapatkan penjamin dan saudari layak utk mendapatkan pinjaman jika ada penjamin tersebut. Jika saudari ingin cuba apply loan, kami boleh bantu saudari tanpa sebarang cas. Hubungi saya di 019-3559448 untuk maklumat lanjut. tq for da info :)..
Saya berminat dgn Saga FLX 1.6 Exec.. baru kerja, sektor swasta, 1 1/2thn… basic RM1980.00, elaun RM80.00, other claim antara RM300.00 – RM500.00 stiap bulan.. saya ingin menggunakan skim graduan.. dan kalu boleh nk keluarkn kete sblm raya..
Wasalam, tiada masalah. Cuma sediakan salinan IC, lesen memandu, pay slip 3 bulan jika ada dan bank statement 3 bulan, job offer letter dan juga slip diploma/degree. Jika tuan berminat, boleh hubungi kami dengan segera dan sila check email kerana pihak kami telah hantarkan quotation. Hi, my lil bro plan to buy Saga Executive 1.3 without downpayment,installment for 9 years,nett salary rm 1,550.00. Can u sent the quotation?Can he apply for the graduation scheme? Hi andy, we have sent you the quotation. Yes he can apply for the graduate scheme loan. Let us know if you need further assistance. Thanks! nak tanya sket pasal 1.3 auto standard tu performance dia ok ke? Performance Saga 1.3 tiada masalah. Kalau boleh, ambil yang executive, tambahan accessories yang lebih berbaloi. Kalau tuan berminat, kami boleh bagi discount bulan ni. Esok boleh call saya utk pertanyaan lanjut. Wasalam izad, boleh lepas jika berminat. minimum net salary adalah 1.5k sahaja. Kami sudah hantarkan quotation ke email tuan. Thanks! sy nk tny syarat2 untuk graduation scheme apa yer?? sy student semester terakhir sem nie..
rasa berminat nk pakai saga untuk kemudahan trasnport pergi kerja nnt..
hi,i nk tanya kalau i nk ambik 1.3 standard(m) tanpa guna penjamin bape deposit?gaji i basic rm1500.interest paling rendah bape %? Hi Christine, jika gaji bersih you kurang dari RM 1,500, saudari perlu sediakan penjamin. Jika saudari ada fixed elaun bulanan, mungkin ia dapat membantu. objective : to purchase flx 1.3 auto ( M ) exec INSYAALLAH. Q 1 : whats the price u take for this sportivo? Q 2: i choose islamic bnking , what is the profit rate? Q 3 : how long is the delivery period ? Q 4 : can u pls send me the quotaion plus the mnthly installment? Wasalam tuan, tuan boleh hubungi kami utk maklumat tentang trade in value. Kami juga sudah hantarkan quotation berdasarkan rate yang ditawarkan bagi pinjamin islamic. Thanks! also would like to check the different if i apply loan for saga flx 1.6 (auto & metalic) and myvi (purple). need to check on the monthly installment if d/payment is RM3k only. Hi flora, we would recommend you to get 9 years loan based on your salary amount. Please check your email if you have any further question. got your quote. could you also quote saga 1.3 exe auto? thanks. Kindly check your email. We have sent you the quotation, and call us asap to get the discount promotion. Thanks! can i know location of ur showroom? Sorry for the late response, our showroom is in Puchong, Puchong Gateway. If you would like to meet us, kindly set an appointment in advance. Thanks! I would like to confirm as per your quotation to me earlier. How is the procedure? hi sir, could you send me a quote based on full loan? thanks. You only need to prepare the document as requested. it includes the copy of IC, license, pay slip 3 months and bank statements 3 months. Once you have all the documents, you can pass it to us by hand or email to us directly, which ever that’s more convenient to you. After your loan has been approved, you need to sign the loan agreement and after that, we would register the car (assuming the stock is ready). Our email is admin@mybestcardealer.com and do call us at 019-3559448 if you need further assistance. sy nak tanya klu basic salary 1400 dan bersih 1239 boleh dapat full loan tak. sy berminat dgn saga flx auto standard. Salam Nita, bagi kes nita, nita perlukan penjamin. Nita boleh minta ayah/ibu/adik-beradik utk jadi penjamin nita. Check email utk maklumat lanjut. Thanks! boleh sy tahu alamat showroom?tq! Salam, saudari boleh check gmail saudari. Thanks! Salam saya mahu bertannya.saya punya mak mahu keluar kereta saga flx auto tapi umur 61 mcm mana ye?duduk felda. Naim, your mom perlukan penjamin yang masih berkerja kerana faktor umur beliau. Unless mak you mampu utk bayar cash bagi kereta tersebut. Hubungi kami utk maklumat lanjut. Thanks! Salam boleh x bg harga flx cvt standard dan alamat kedai supaya boleh buat rujukan apa yg diperlukan untuk umur 61.
salam…saya berminat nak beli saga flx se (rm49899)… saya kerja swasta basic rm1300…berapa basic yg diperlukan untuk penjamin n boleh tak adik-beradik jadi penjamin..??? Wasalam, yes you perlukan penjamin. Gaji bersih seharusnya lebih tinggi daripada RM 1,500. Jika saudari berminat, saudari boleh meminta adik-beradik yang sudah berkerja untuk menjadi penjamin kepada saudari. Sediakan salinan IC, lesen, pay slip 3 bulan, bank statement 3 bulan. Guarantor pula perlu sediakan salinan IC, pay slip 3 bulan, bank statement 3 bulan. Boleh hantar ke email kami di admin@mybestcardealer.com atau buat appointment dengan kami. Salam Ard, pihak kami sudah emailkan quotation. Sila hubungi kami di 019-3559448 jika tuan mempunyai sebarang soalan. full loan boleh x?and monthly brape? Wasalam, nak full loan boleh, tiada masalah. Pihak kami akan hantarkan quotation ke email tuan. Sila check email tuan dan hubungi kami semula jika tuan ada sebarang soalan. salam…saya nak tyer…klu saya nak beli saga 1.3 standart xpa d/p,xpon d/p dlm 2k,lps ker saya nak dptkn f/loan.basic juz 1k plus ,bulan2 kena byr brpe?interest plg rendah bper? Salam azie, jika gaji bersih azie di bawah RM 1,500, azie perlu dapatkan penjamin. jika tidak, memang bank akan sukar berikan kelulusan. Azie boleh hubungi kami dulu untuk mendapatkan penjelasan dengan lebih lanjut jika azie betul2 berminat. Salam ain, ain boleh dapatkan penjamin? Gaji bersih you tidak melepasi syarat minimum. Jika ain ada penjamin, ain mungkin tiada masalah. Kami boleh dapatkan loan utk saudari secepat mungkin jika ain betul-betul berminat. Terima kasih ya! basic salary sy RM 1200 tp xde bank statement..saya bkrja dgn bapa sy..sy da cube buat loan nme sy ats gerento bpk sy..tp xlepas..ade cara lain tak utk bantu sy lepas kn loan tu..down payment sy nk letak 10%..
You dah cube apply guna bank mana satu? Berapakah gaji bersih bapa you? You kena ada statement bank supaya pihak bank boleh melihat cash flow gaji. Hello there, currently wan to get new update for august discount for saga flx executive manual. Thanks. The promotion will be updated by the end of this week. Stay tuned and kindly email us for faster response. hi. saya nk tnya. klo saya nk amik saga 1.3 exec metalic auto, saya nk amik 7 @ 9 thun, tpi nk byr buln2 around 500-530. gaji 2300. brape dp yg sya kna sediakn?. thnx. Hi nora, pihak kami sudah emailkan quotation. Saudari boleh gunakan calculator online kami di http://www.mybestcardealer.com/find-a-car/payment/ Gunakan interest dalam lingkungan 2.85%. Saya merancang utk membeli Saga FLX 1.6 SE. Saya sudah bekerja 1 tahun dgn GLC basic gaji RM1200 sahaja. Tetapi dengan OT gaji boleh mencecah RM2k – 3k. Latest 3 bulan payslip saya tidak kurang dari 2k. Bercadang utk tidak membayar downpayment kerana ingin menggunakan pinjaman skim graduan. Agak2 lepas ke loan saya? Thanks. Wasalam Jamal, kebiasaannya, bank tidak akan lihat OT, dan mereka hanya lihat gaji basic tuan. Jika tuan berhasrat utk memiliki model tersebut, tuan perlu sediakan penjamin. Jika tuan mempunyai sebarang soalan, sila hubungi kami di 019-3559448. Hi Sofia, yes you layak dan boleh apply utk 0% down payment. Pihak kami akan email quotation ke email saudari. Thanks kerana menggunakan perkhidmatan kami. Thanks for the quotation. tp nak tanya, kalau hanya ada lesen L, perlu ada penjamin ke tak. kalau perlu, apa syarat2 penjamin tu? Based on gaji you, you tak perlu sediakan penjamin. Jika you tiada lesen P, salah satu cara adalah dengan menyediakan salinan IC dan lesen ibu atau ayah you. Ini adalah syarat yang diletakkan oleh pihak bank. selain daripada lesen ayah atau ibu, lesen adik beradik seperti abang pun boleh tak? Boleh cuba, tapi kalau ada lesen parent lebih baik. Quotation has been sent to your email. Should you have any further question, kindly call us for more information. saya pekerja swasta, basic+alaun rm1400 tidak termasuk OT…sy ingin membeli 1.3 Executive 1.3 (M) manual…Dpayment boleh letak RM4k. adakah saya masih perlukan penjamin dan bolehkah saya menggunakan saudara saya sebagai penjamin..
Hi Jayhir, yes you perlukan penjamin kerana gaji you tidak melepasi syarat minimum. Jika saudara tuan boleh menjadi penjamin tuan, ia tidak mempunyai masalah. Boleh sediakan salinan IC, lesen, pay slip 3 bulan dan bank statements 3 bulan. Sama juga seperti penjamin, cuma lesen penjamin tidak diperlukan. Thanks! jika saya hanya mahu menggunakan pay slip tanpa bank statement…adakah ia akan timbul masalah.? Yes, bank statement amat penting utk mendapatkan kelulusan pinjaman daripada bank. At least gaji bersihh (basic – outgo) sebanyak RM 1,500 ke atas. You dah beli? Tgk bank jugak, ada bank yang tak perlu sediakan lesen dan ada yang perlukan lesen P ketika penyerahan kunci. Sesetengah bank memerlukan lesen P dan untuk pemprosesan insurans itu juga diperlukan. Lebih baik berikan lesen L tersebut. saya kalau ikut x ada lesen “P” kalau dah lulus..sbb dah ada lesen motosikal itupun “P” dah tamat..
hye.. saye keje gov.. gaji basic around 1152.. gaji bersih around 1800 termasuk ot & cola.. saga mana yang boleh lepas dengan kelayakkan saya? sempat ke dapat sebelum raya? Hi, kalau gaji basic di bawah RM1,500, saudari perlu sediakan penjamin. jika tidak, memang agak sukar utk bank berikan kelulusan. Bank tidak akan melihat jumlah OT yang diperolehi. Sila hubungi kami di 019-3559448 jika saudari ada sebarang soalan. hi, saya ingin membeli kerata proton saga flx 1.3 standard auto or excutive auto. bacis gaju rm1 k sahaja. tetapi saya boleh mmbayar downpayment sebyk rm15k dan saya mempunyai penjamin. saya ingin mmbayarnya selama 9 tahun. saya lepasan diploma dan bru bekerja selama 3 bulan di syarikat swasta. boleh tak saya dapat qoutation?? adakah saya layak mendapat kan pinjaman bank?? Syabirin, you ada penjamin tak? Kalau ada, baru loan boleh lepas. Your parent masih bekerja tak? Hi, sy ingin membeli kereta proton saga flx 1.3 cvt manual. Pekerja gov, Basic is 2.2K dan gaji bersih dalam 3K. kalau downpayment sbyk 5K utk 9 tahun, boleh dapat loan bank tak? Hi Senna, pihak kami sudah hantarkan quotation ke email senna. Boleh check dahulu dan hubungi kami semula jika senna ada sebarang soalan. Thanks! Wasalam, berapakah baki hutang gen2 tersebut? Berapakah gaji tuan dan berapa lama sudah bekerja? Salam, saya dengar FLX 1.3 CVT ada diskaun hingga rm2k sekarang ni. Mohon detail quotation jika saya d/p 10% dan nak buat loan untuk 7 tahun. Saya kerja swasta dengan gaji 4.4k dan ada commitment 1k sebulan. Kalau boleh nak loan dengan Maybank sebab semua urusan saya pakai Maybank tapi kalau bank lain dapat % lebih rendah apa salahnya. Terima kasih. Wasalam tuan, you boleh check email. Thanks! Wasalam hafeez, pihak kami sudah hantarkan quotation semalam. Cuba check email. Thanks! Salam, saya bminat dgn saga flx executive 1.3 manual..gaji lepas tolak kwsp dan socso 2k..bole tak buat full loan dan tanpa guarantor? perlu byr deposit ke utk apply loan? Wasalam ray, tiada masalah. Kalau you apply grad scheme, confirm boleh lepas. Bank mungkin akan minta satu bulan advance payment pada masa agreement ditandatangani. Maknanya, bayaran berikutnya adalah selepas 2 bulan kereta sudah dipakai. Kalau you berminat, boleh terus call saya di 019-3559448. Hi ray, boleh, tiada masalah. You boleh apply full loan. Kalau you apply graduate scheme, selalu nya pihak bank minta you bayar advance payment sebulan ketika you sign agreement. So, you kena bayar awal sebulan tetapi itu sahaja. Wasalam, kindly check your email. Thanks ya! 1. berapa downpayment yg perlu saya letak untuk monthly installment payment rm 400-450 (9 tahun)? 2. boleh dapat full loan bank ? Salam, sy nak tanye berkenaan FLX 1.6 SE..
1. boleh dapat full loan x? 2.bulan2 brp kalau full loan? 3. brp lame tempoh untuk dapat kereta? 4. kalau under graduate scheme, adakah masih relevan jika grad pd 2010 dan umur x lebih 30thn ? 5. brp lame tempoh utk dpt kereta under graduate scheme? Wasalam, boleh dpat full loan kalau berminat. Kami sudah hantarkan quotation ke email tuan utk dijadikan rujukan. saya jugak mahu quotation blh? untuk graduate scheme tu.. Quotation telah dihantarkan ke email tuan juga. Thanks! kalu saya nak trade in wira aeroback(thn 2000) then nak amik flx 1.3 standard (m) manual dengan gaji basic rm1100 , goverment, ada masalh tak? Wasalam, jika gaji bersih kurang daripada RM 1,500, you perlu sediakan penjamin. As Salam,gaji sy rm 1570+elaun rm100+o/t rm200++=rm1870,bersih dpt dlm rm1550,berkahwin,keje swasta 9thn.kalau sy nk trade in proton iswara thn 95 utk FLX solid 1.6 blh?X 9 thn brp montly?document apa je nk? Wasalam wai, adakah ini kereta Pertama you? Kalau you nak apply loan, you perlu sediakan salinan IC, lesen, bank statement 3 bulan dan pay slips 3 bulan berserta dengan salinan degree/diploma. Nak tanya sikit, latest Saga FLX 1.3 Executive masih dilengkapi dengan ABS,EBD lagi tak. How about airbags, 1 or 2? Electric power window is included or not? Tu la pasal, da cek, tp macam ade conflicted info je. Appreciate your cooperation btw. Thanks. Wasalam nora, bayaran bulanan adalah dalam sekitar RM 485-495 bergantung kepada kelayakan saudari. Jika you berminat, you boleh hubungi kami di 019-3559448 untuk maklumat lanjut. Thanks! interes rate berapa if 0% downpayment? Hi Nora, sila check email. Pihak kami sudah hantarkan quotation ke email saudari. Salam Azrai, kebiasaannya, bank akan meminta penjamin jika basic kurang daripada RM 1,500. Gaji minimum penjamin hendaklah sekurang-kurangnya RM 2,000 dan ke atas. Salam,sy nk ty saga FLX 1.3 auto yg paling rendah bape harganya kalau Bayar tiap2 bulan(9tahun)? Boleh apply ke kalau tanpa bayaran muka? Yes, pihak kami boleh cuba submit document ke bank panels kami dahulu. Sediakan dokumen yang diperlukan dan hubungi kami di 019-3559448 utk maklumat lanjut. salam, saya berminat dengan saga flx nie, gaji saya rm18++, jika 0 downpayment boleh dapat ker? dan saya nak tahu setiap bulan berapa yang perlu saya bayar? Wasalam Umi, you boleh check email you. Pihak kami hantarkan quotation bagi model Standard dan Executive. Salam Ben, pihak kami sudah hantarkan quotation ke email tuan. Thanks! Hi, I plan to buy Saga Executive 1.3 without downpayment,installment for 9 years,my salary rm 1,500 without deduct EPF Socso.Can I get bank loan approval? can I approve without guarantor ?p/s: I’m only 21 years old. and do u guys have branch in Penang? Hi May, we don’t have any branch in Penang. Btw, for your case, you need to get a guarantor as your nett salary doesn’t meet the minimum requirement. sy pekerja jbtn kerajaan gaji bersih RM1493 (basic=RM1083)..
-bank tgk gaji basic @ bersih ye..?? -based on gaji basic, sy perlu dptkn penjamin kn..? -boleh guna graduate scheme tak jika graduated diploma thn 2009? -cadangan model lain yg sesuai dgn kelayakan gaji saya..
Wasalam, adakah gaji bersih itu selepas tambahan fixed elaun? Jika you berminat, berkemungkinan you perlu dapatkan penjamin. Jika you mahu try apply tanpa penjamin, kami juga boleh cuba bantu. Hubungi kami di 019-3559448. Saga FLX Exec 1.3 (S) Manual ye…?? Any discount for saga flx 1.3 exec auto in september? Hi Joel, the latest promotion has not yet released. Please come back to us after Tuesday if possible. Hi sue, you are not eligible to apply for the full loan as the max age is 30. Kindly let us know if you would like to purchase this model, we may be able to help. Hi sir, if i trade in with my 850 kancil with saga, it is worth? cause my kancil is already settle the payment. my car is around 6-7years. if trade in, may i know that need to pay how much to the saga deposit? and the loan is how much per month? Saga FLX Executive 1.3 (S) manual & CVT..?? hi Ediey, berkemungkinan besar you perlukan penjamin. Adakah RM 1,493 gaji bersih selepak menolak kwsp/tax? ye..hanya tolak KWSP..tiada potongan laen…mungkin boleh dapatkan penjamin.. Basic you tidak memenuhi syarat dan lebih elok utk ediey dapatkan penjamin. Sila check email utk quotations. Thanks! am i eligible for on of these saga FLX 1.3 Exec or Myvi 1.3 Ezi? can send me the quotation for 0% down payment and 7 or 9 installment? bside 10% ,can i give 2k for downpayment? Hi omni, we have replied to your email. Yes, you can pay less than 10% down payment, it should be fine. Hi ega, baki hutang kereta wira you berapa yea? Kami khuatiri you kene top up jika harga trade in value lebih rendah daripada market value. Hi ega, mungkin susah sedikit kerana you tidak lagi boleh apply scheme graduate utk kereta kedua you. Jika you ada penjamin, ia mungkin dapat membantu. Wasalam Jie, serahkan ke semua dokumen yang ada tetapi bank statement tu, you provide bank statement utk 6 bulan. Emailkan ke admin@mybestcardealer.com dan kami cuba apply dahulu. Wasalam fyra, pihak kami sudah emailkan quotation seperti yang dinyatakan. Hubungi kami utk maklumat lanjut. Sila sediakan pay slip sebulan, bank statements 3 bulan, salinan ic, lesen dan juga degree/diploma slip berserta job offer letter. Saya berminat nak dapatkan Saga Flx, Gaji RM2.4k,tiada komitmen lain setakat ni, tolak epf+socso,around rm2.1k++,ada degree,setahun berkerja,ada lesen,semua kira adalah cukup lengkap. Nak tanya pandangan ADMIN, antara kereta baru dan 2nd hand, mana yg sesuai utk saya. Sbb sy ada usha-usha used car seperti gen2 sekitar rm17k hingga 28k(tahun 2006 hingga 2008), tapi risau takut ditipu. Minta pandangan admin. Sila hantar quotations pada emek saya. Harap oktober ni dah sette beli kereta sebijik. Nk ulang alik gi kerja. Amie, admin dah emailkan quotation. You nk bayar berapa down payment? Amie boleh hubungi kami jika you ada sebarang soalan. Thanks! Wasalam, bagi kami, jika you tidak pandai melihat condition kereta, dan tidak arif tentang market value kereta, lebih baik you ambil kereta baru. Interest nya juga lebih rendah berbanding second hand car. Jika you berminat, pihak kami sudah emailkan quotation dan you boleh compare dengan harga kereta lama tersebut dengan interest 3.9%-4.1% interest. Kalau kereta baru juga, you tidak perlu risau maintenance yang tinggin at least pada 1 tahun pertama. Wasalam Azilah, kemungkinan besar, you perlukan penjamin yang mempunyai gaji bersih yang lebih tinggi. Adakah saudari bank in duit gaji tersebut ke bank account? Jika saudari tidak berbuat sebegitu, mungkin agak sukar. Salam.. Kindly send me a quotation for Saga FLX SE 1.6 Metallic. My nett salary is rm2875 and I’m planning to pay RM7k-10k for the downpayment. Thanks..
Hi MH, we have sent you the details. Kindly let us know if you are interested. Hi Aisyah, kami telah emailkan quotation bagi model auto sahaja. Hubungi kami utk maklumat lanjut. Wasalam Eza, pihak kami sudah pun menghantar quotation ke email saudari. Sila hubungi kami utk maklumat lanjut. Salam, sy bercadang untuk membeli kreta flx se 1.6. gaji bersih sy rm1500. Bayaran untuk deposit 5000-6000. Layak tak? Wasalam. you layak utk membeli model tersebut, tanpa masalah. Hubungi kami utk maklumat lanjut dan sila check email you. b’cdg lie kete perodua viva or saga flx (std-S)…gji kasar 18++, gji bersih ciput 8++, penjamin; gji bersih 16++ tp check bank ad prblm, layak tak??? Wasalam tuan, Guarantor you ade problem or you penah try submit ke bank dan ada masalah? salam, syer memiliki kreta proton saga aeroback, tahun 2001, baki htang RM 7,500.
syer ingin memiliki proton saga flx, brape downpayment yg prlu syer byar dn brape nilai kreta syer yg lme jika syer trend in? Wasalam, boleh tak you call kami di 019-3559448? Baki hutang you mungkin agak tinggi dan kami perlu check jika harga trade in adalah lebih tinggi atau kurang daripada itu. Jika kurang, you perlu bayar lebihan kepada bank. salam.. Saya berminat nak beli Saga FLX 1.3 guna skim graduan.If salary saya RM 11++, bersih RM 9++ layak ke apply loan ?Berapa bayaran bulanan? TQ.. boleh bg quatation? Wasalam, bagi kes you, you perlukan penjamin kerana gaji bersih you tidak melepasi syarat minimum yang ditetapkan oleh pihak bank. Parent you masih berkerja? Salam…pernah submit ke bank, tu leh dtct penjamin ad problem…..& sye sndri jgk prnh submit tnpa penjamin, pn sme jwpn nya…..
Wasalam, you perlu dapatkan penjamin yang gaji nya kalau boleh lebih 2k utk mendapatkan kelulusan dengan lebih mudah. yup…tp husband saya boleh jadi penjamin kn? Yes akma, husband you boleh jadi penjamin you. Jika you sudah sediakan dokumen lengkap, you boleh hubungi kami semula di 019-3559448.
kalau zero downpayment untuk 9 tahun (FLX)..berapa bulan2? Salam, saya bercadang untuk beli saga flx SE 1.6 (M). Basic gaji RM1980. Lepas tolak epf/socso gaji bersih dalam RM1750. Bekerja di syarikat swasta dan saya tiada komitment lain. Kalau saya bayar down payment dalam RM3k sahaja boleh ke? Bulanan pula berapa saya kena bayar? kalau dp RM3k sahaja. Terima kasih. Wasalam tuan, kami sudah emailkan maklumat lanjut. Jika you ada sebarang soalan, you boleh hubungi kami atau email kami semula. Thanks ya! I want to get the saga flx se 1.6 (m) @ RM 49,899 under 9 years loan. -how long is the current waiting time for the car? I prefer the red one. and will i be able to purchase the number plate? Hi yus, yes, we can get the number plate you want. Kindly check your email for more info. gaji RM 2000..if minus epf dlm RM 1500 – RM 1600.
saya nak bertanya , apa maksud saga blm,flx,flx executif…..saya bercadang nak ambik jenis auto ……..senang untuk isteri bawak .boleh tak tuan bagi cadangan model mana yang terbaik untuk saya …sebab bila saya baca dalam blok, saya jadi keliru…banyak sangat masalah yang dibincangkan contohnya cvt rosaklah dan macam-macam lagi betul ke? untuk pengetahuan gaji bersih saya 1950.63 keja dengan gov. Hi ard, pihak kami sudah emailkan quotation ke email tuan. BLM adalah model lama dan FLX adalah model terbaru selepas BLM > FL > FLX. Model flx menggunakan kotak transmisi CVT yang melancarkan pergerakan dan buat masa ini, jenis flx masih tiada issue daripada pembeli kami. saya berminat dengan saga yg warna merah tapi, tengok kat proton’s website model Executive 1.6 (M) -CVT-RM 49,899 kan? model lain ade tak color merah dengan lower spec? fyi, sy cuma pakai untuk pergi kerje, selalu jammed dlm KL. berbaloi ke pakai 1.6? untuk jangka masa panjang which model better? any advise? basic saya RM1600++ (ada OT usually RM2k per month), boleh lagi ke kalau nak pakai skim graduan kalau grad dip tahun 2007? lagi satu, insurance biasanya cari sendiri ke camne? Wasalam inna, kami sudah emailkan quotation ke email saudari. Berkenaan dengan insurance, bagi model kereta baru, ia termasuk didalam harga kereta itu. Hubungi kami jika you berminat. Thanks! Wasalam, pihak kami sudah emailkan details. Sila reply pertanyaan kami sebelum kami dapat menjawab pertanyaan saudari. Thanks! I am 20 years old. am I need a guarantor? my basic pay is rm1500. (haven’t include commission). Hi Jason, you may need to prepare a guarantor. Check your email and for more details. Saya nak tanya, saya bekerja under MPOB dan btaraf kontrak dan gaji around 1300-1500 (Gaji bersih+elaun). saya nak loan keta proton saga FLX executive manual dan tanpa penjamin. Dapat approve tak? kalo dapat boleh tak send saya quotation tok proton saga tersebut?? Wasalam, agak sukar utk dapatkan kelulusan jika gaji bersih kurang daripada RM 1,500. Jika you berminat utk mencuba, you boleh berikan dokumen you kepada pihak kami. Sila check email utk maklumat lanjut. 2k basic salary. Minus EPF left around 1800. Didnt have any personal loan or house loan or credit card yet. 21yr old , first car. Can get full loan for Saga flx SE white? or minimum how much downpayment? Quotation sent. You can apply 0% under graduate scheme and kindly let us know if you are interested. Thanks! I am blacklisted, but can put down 10 K downpayment and trade in my 2006 iswara aeroback fully paid, to buy the flx metallic (1.3)M. Can this be done, Do you think can get any loan ? Have you settled your case? If it is related to personal loan under RM 20k, you might still have a chance. hi, just wanna ask. is it possible to get loan based on this, salary rm1200 (provide a guarantor), downpayment rm2000, loan period of 9 yrs, i dont have any personal loan or house loan, nor credit card to pay..btw the car that im interested in is saga flx se 1.6.. looking forward for your reply..tq sir..
Salam Fairus, email sent. Let us know if you have any further questions. Thanks! kecil-kecilan..ada statement bank..lesen L masih dalam pembelajaran..
Wasalam Megat, you perlukan penjamin, jika tidak, memang agak sukar bagi you dapatkan kelulusan pinjaman. Wasalam szilla, kami sudah emailkan quotation seperti yang dinyatakan. Jika berminat utk berhubung dengan dealer kami, sila hubungi kami di 019-3559448. Wasalam Eqin, CVT tu auto juga. Kalau you nak manual, you boleh ambil model 1.3 Executive. hi there. nak tanya. i kerja gov, gaji bersih almost rm1700. i plan nak beli saga flx standard 1.3 (M) auto for 9 years. ada masalah x klau nk buat loan. 0 downpayment. Hi there, mungkin tiada masalah. Kami sudah emailkan dokumen dan sila sertakan salinan degree/diploma sekali jika berminat. Thanks ya! Wasalam Tuan, kami sudah hantarkan email sebagai rujukan. Sila hubungi kami jika you berminat. My basic salary = RM1100 + allowances = RM1400. Im wondering, can i get FLX 1.3 CVT for 7 years with RM15000 downpayment? Hi there, your net salary doesn’t meet the minimum requirement. You need to have a guarantor in order for you to be eligible to apply for the loan. If you do, then it should be fine. Give us a call at 019-3559448 if you would like to purchase from our team. sy br je konvo bulan 10. basic salary rm1600. Blh terangkan graduate scheme? if sy nak awal tahun depan tp kereta tahun ni berapa discount? plez send the quotation to my emel. Wasalam Zam, pihak kami sudah emailkan quotation. Kebiasaannya, awal tahun memang tiada discount. you dah start kerja ke belum? sy dh review quotation tu. tp tu harga utk grad scheme. even sy baru je keje 8 bulan tp my mom boleh jd guarantor. so sy rasa tak perlu ikut grad scheme coz interest rate yg tinggi. boleh ke sy tak perlu guna grad scheme tu & tak perlu bayar downpayment? Salam Zam, interest tak lari banyak jika you ada penjamin. Buat setakat ini, kebanyakan bank yang bagi full loan, interest nya lebih tinggi daripada 2.98%. Unless you nak bayar down payment. my salary is 1300+ will i get a loan? by the way i am 21.
hi Jack, if you would like to apply for a car loan, your net salary needs to be at least RM 1,500. Otherwise, guarantor is needed. Hye,gaji kasar RM1450, tapi bersih RM1289 je,nak apply loan Saga FLX Manual Standard,lepas tak. ?0 downpyment boleh? Hi Men, you perlukan penjamin jika tuan ingin dapatkan kelulusan. Boleh saya dapatkan Saga FLX Executive 1.3 (S) CVT dgn 0 down-payment? Gaji bersih RM2800, baru 3bulan keje. If possible xnk guna graduate scheme sbb interest tggi. Is there any promotion for Saga? Hi Za, you perlu dapatkan loan dibawah skim graduasi kerana you masih belum cukup setahun berkerja. Perbezaan interest tidak begitu ketara jika you beli model Proton/Perodua. what is the different between saga flx 1.3 (s) and saga flx 1.3 (m)? and exec 1.3 saga flx (s) with exec sga flx 1.3 (m)? thanks to you…really apprct dat. this is for my nephew..
It’s alright, just let us know if you need further assistance. Saya student, final year. Belum berpendapatan. Basic gaji wife saya adalah RM2.35k. Boleh ke saya nak memiliki proton saga fl ? which model i could afford to? or saya tak boleh? tapi wife dah ada satu loan kereta atas namanya. berminat dengan model FL premium manual. Kami boleh cuba gunakan nama dia sekali lagi. Jika you tidak berkerja, memang mustahil you boleh dapatkan loan. hai, saya nak tanya. kalau pendapatan 13++ (tolak epf/sosco) = 12++ boleh ke nak buat full loan? kalau bayar deposit dalam 2k, berapa bulanan yang perlu saya bayar? kalau boleh nak monthly dalam 500. Salam aida, kami sudah hantarkan quotation. Bagi kes you, you perlukan penjamin jika saudari ingin dapatkan kelulusan. Executive 1.3 (M)	CVT	RM 45,211 auto ? 583 7 year muka 0 ? hai saya berminat untuk membeli Standard 1.3 (M). bole x email kan procedure pembelian n berapa monthly payment n downpayment if saya beli kereta jenis ini.? Hi Ima, kami sudah emailkan quotation seperti yang dinyatakan. Sila hubungi kami di 019-3559448 jika you sudah ada ke semua dokumen yang dinyatakan. Hi Ima, kami sudah emailkan quotation ke email you sekali lagi. Sila check your email semula. bape interest for Standard 1.3 (M). or rm2000 utk 9 tahun? bape rate for monthly yg saya kena pay..? basic rm1400++ot dlm rm2k monthly. boleh bg quotation tak..? Hi wani, we have emailed you the details. Boleh kami tahu jika you boleh sediakan penjamin? ye ayah sye sbg penjamin mcm ne ye monthly price kereta nie…? Kindly check your email. SIla hubungi kami di 019-3559448 jika you berminat. gaji sy rm2.5k…tp br 1bln kerja…bole x email kan procedure pembelian n berapa monthly payment n downpayment for all variants.? Wasalam mie, pihak kami sudah emailkan quotation bagi 10% dan 0% down payment. Sila check email you utk maklumat lanjut. Thanks! hai, sya baru memiliki pendapatan rm1000, sebulan dapatkah saya membeli saga Flx, berapa muka dan monthly, serta adakah perlu penjamin?…. Hi Mazlan, yes, you memang perlukan penjamin. Ayah/ibu amat disarankan. Hi, I am wondering if I could get a Saga 1.3 Standard (M) CVT. My basic salary is 2050, OT around 500 a month and accomodation allowance 380 + monthly bonuses. I already have a 120k apartment loan under my name. does it affect the car loan? Hi Yew, your commitment and net salary looks fine. 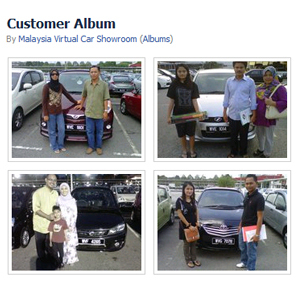 We have emailed you 3 quotations for all Proton Saga variants. sy dlm proses utk trade in kereta utk beli Standard 1.3 (S) CVT RM 41,361..
tp public bank offered sy 2.95% interest..sy rs terlalu tinggi sedangkan sy tny pd maybank n ambank they can give 2.80-2.85%..mslh sy my dealer xnk submit pd bank lain since dia kt lagi tinggi..now i’m looking for another dealer..blh x email sy quotation utk semua ni? Wasalam Hidaya, yes, public bank selalunya offer rate lebih tinggi berbanding bank lain. Sila check email you utk maklumat lanjut. Sila hubungi kami di 019-3559448 supaya kami boleh proceed dengan permohonan loan. 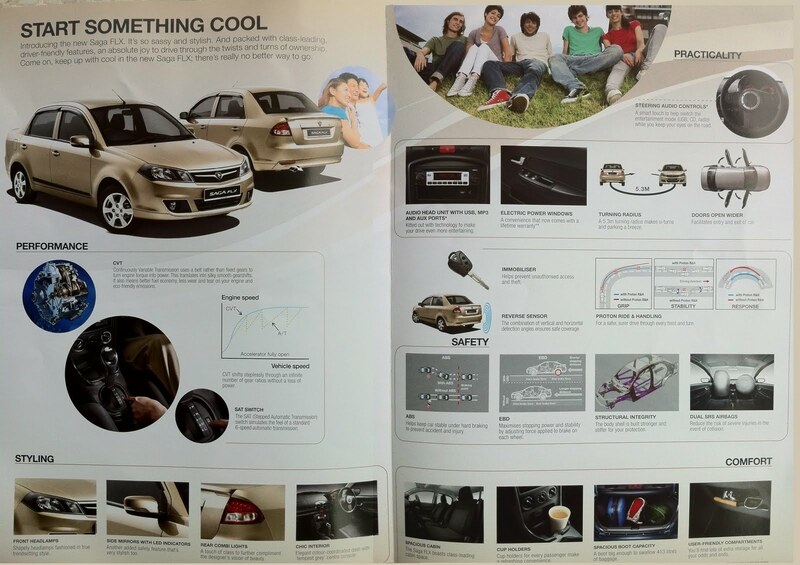 last week saya ada shopping di satu mall nie., and then pihak proton ada bagi flyers pada saya untuk penjualan kereta, yang menarik nye saya tertarik dengan offer mereka pada flayers tu. di situ pihak proton ada bagi list for price for saga FLX 1.3 manual juz around 380,000.00 ++ and monthly payment juz RM 417..
kenapa beza with quotation yang u bagi pada i? bole assist saya dalam hal nie? Kebiasaannya, flyers yang diwawarkan adalah based on 10% down payment. Sila gunakan interest rate dari 2.85% (bagi 10%) dan 2.98% (bagi less than 10% down payment). i already confirm work with one company,my salary for net pay is around rm1500 per month. I’m clearly from any loan. If i want to get a loan,which one car model i can get depending based on my salary. ? Hi Dom, you can either purchase a new viva, myvi or proton saga. Please check out our blog to find out more info on the models’ price lists. If i choose for saga flx 1.3(m) brown color. What are quotation for that model.Now,I’m work at Kuching,Sarawak. Is’t i still need guarantor if i pay for 10% downpayment.?. No, no guarantor is needed. Wasalam Ash, interest yang terendah bagi skim ini adalah 2.98%. Kami sudah emailkan you quotation sebagai rujukan. Hi, nk tnya promosi fresh grad ni sampai bila?gaji basic sy 1600, gj bersih 1300.nk kete saga auto metallic, full loan 9 yrs perlu penjamin ke? ada had umur tak? please email to me soonest. thanks. Hi Nurrema, you perlukan penjamin kerana gaji bersih you tidak memenuhi syarat. Sila check email you utk maklumat lnjut. what colors is available for saga 1.3 standard (M)? Haii,,,saya nak beli saga flx 1.3 exec. Manual..Gaji Basic Rm 1600 Plus Elaun Rm 200, adakah gerento diperlukan..
Kami boleh cuba dapatkan tanpa penjamin. sila hubungi kami di 019-3559448. Wasalam, kami sudah pm you harga bagi 10% dan 0% down payment. Wasalam, kalau kes tunggakan loan, memang bank akan sukar bagi loan. You need to get your parents to be your guarantor. If you are interested, please call us at 019-3559448.
hello, i still have 1 semester to finish my diploma course. i want t buy a car for family used by finance with bank. but the problem is i didn’t have driving license. i have a full job with rm1500++ per month. can i still use my name to finance a new car? Yes you can but you need to have a guarantor as your basic salary does not meet the minimum requirement. If you don’t have the license, you can provide your parent’s license. the guarantor basic salary must be higher than me? Hi En Sham, we have emailed you 3 quotations for auto model. Please call us on Monday to find out the market value for your current Kia Spectra. Assalam, sy berminat dgn kereta di atas, gaji tak lepas 1.5k, kerja swasta… kalo sy nk byr depo 6k, dlm masa 9th… layak ker??? brapa RM bulanan??? Hi Sara, gaji 1,500 tu gaji bersih atau basic? Kalau gaji basic, you perlukan penjamin. Sila check email you utk maklumat lanjut. hello , i’m galfred …. first , i would like to ask what the differences between saga FLX standard and executive? second , am I need a guarantor if my basic salary not reach 1.5k ? third , if i choose executive 1.3 (M) CVT , 10% down payment , what is the best offer you could give? Salam, sy berminat nak dptkan saga flx se 1.6 dgn 10% down payment..tp sy baru kerja 2 bulan dan akn bekerja di tempat lain hujung bulan ni. jadi dokumen slip gaji boleh ke sy guna slip gaji lama? Wasalam bella, sila check email you. Kami sudah emailkan quotation dan juga maklumat penting bagi proses pembelian kereta. Thanks! Nak bertanya.nak ambik kereta flx ni kna basic berapa??? Hi Faris, kalau gaji bersih atas RM 1,500, kami boleh cuba bantu. hi MY….nak tanya, sy keja govrmnt gaji rm1.6+. sekiranya saya ingin target saga FLX dengan monthly payment bawah RM300 or RM250, brapa agaknya saya perlu byr utk downpayment?? Hi, sila check email you utk maklumat lanjut. Sila hubungi kami di 019-3559448 jika you ada sebarang soalan. Wasalam Aniey, pihak kami sudah emailkan details. Sila hubungi kami semula jika you ada sebarang soalan. Thanks! Hi Jun, boleh, tiada masalah. Kami boleh bantu. You berminat dengan model Standard atau Executive? Dealer kami hanya di KL dan Selangor sahaja, adakah you masih berminat utk berurusan dengan pihak kami? Wasalam, kami dah emailkan quotation bagi model Proton Saga Standard dan juga Executive. Sila hubungi kami jika you berminat. Hi . Nak tnya . Saga ada tak yg ada GPS ? Berapa bulan2 if dp RM5k . Thanks . No, tak ada. You berminat dengan model Standard atau premium? Salam Nazaem, kami boleh check utk you kalau stock 2012 masih ada. Jika you nak ambil model 2012, kami boleh berikan RM 500 discount dan free gifts. Can send me the quotation for saga FLX 1.3 Standard/Executive CVT and Myvi 1.3 Ezi? with 10% downpayment. Is there any promotion if I apply now? Hi Sherene, we have emailed all quotations as requested. Thanks! My net salary is RM 2200, I would like to buy Saga FLX 1.3 Executive, loan 9 yrs but without 0% downpayment. Is tere any possible or have any promotion? We have sent you the details. Please call us if you need further assistances. nak tnya gaji bersih saya dalam rm1600 saya nak beli saga FLX Standard 1.3 (M) CVT, saya tak de lesen coz amik untuk abang yang guna…so boleh ke saya mohon? Yup, kami sudah menerima nya. Thanks! tuk promosi tuk graduation scheme? Graduate Scheme hanya membenarkan pemohon membuat 0% pinjaman dan mendapatkan loan yang berjumlah lebih besar. Wasalam, berapakah gaji bersih you? Wasalam, you perlukan penjamin jika you ingin mendapatkan kereta kedua. salam. gaji bersih sy rm1.2k tetap, swasta, sy bercadang nak beli proton saga 1.3 (M)/ exec 1.3 (M) n ini kereta pertama sy. 2- adakah sy perlukan penjamin?siapa yg boleh menjadi penjamin sy? Wasalam Alin, you perlukan penjamin adik-beradik/ibu-bapa yang masih bekerja. ok, tu je ke? sy boleh buat loan utk 9thun mcm biasa?kalau pakcik saudara/abg ipar boleh x? Salam…sy gov servant,gji bersih 1.8k.. If nk byr d/payment 10k layak ke ambil exec 1.6(m)..?brpe anggaran byran bulanan? Wasalam Nadya, yes you layak utk memiliki model ini. sila check email you. Saya nak tnye..jika saya nak memohon untuk saga flx auto..lepas ke?..sya gaji bersih dlm rm1500..tp sy ade buat punjaman asb..dan bulan2 sy kne bayar 280..
Wasalam, ASB loan dikira sebagai komitmen, besar kemungkinan, you perlu sediakan penjamin. Hi Soff, kalau gaji bersih you tidak termasuk OT dibawah RM 1,500, you perlukan penjamin. Hi soff, kami boleh cuba. Sila emailkan dokumen ke admin@mybestcardealer.com jika you berminat utk cuba submit application. Hi…if gaji i rm1500, planning nk beli standard 1.3 (m), downpayment rm3000, blh dpt loan 9yrs x?blh emailkan details x? Salam Emma, gaji tu bersih ke basic? Kalau bersih dibawah RM 1,500, you perlu sediakan penjamin. Kalau macam tu, boleh lepas insyaAllah. Emailkan kami dokumen yang diperlukan dan kami boleh cuba bantu. Hi, kami sudah emailkan quotation. Sila hubungi kami sementara promosi masih ada. Please check your email. Kami sudah emailkan quotation bagi model Standard, Executive dan Premium. hye..i nak tny kalo tentera dapat loan 100% x if i nak flx exe (m) solid tanpa d/p..bulanan berapa if buat selama 9 tahun..
basic rm1500.,,ingin membeli saga baru,,muka 0,,adakh sy layak?? Wasalam Emily, gaji bersih you tidak memenuhi syarat. You perlukan penjamin, sila check email you utk quotation. hi, boleh hantarkan quotation kepada saya? Salam Azah, pihak kami sudah hantarkan quotation ke email you. Hi Faryz, yes kami boleh dapatkan full loan bagi you. Sila check email you utk maklumat lanjut mengenai harga bulanan bagi model Proton ini. Salam, saya pekerja swasta gaji pokok RM1980 berminat dengan Proton Saga FLX 1.6 SE (M) kaler merah tu. Saya nak guna full loan 0 down payment tu boleh ke dengan gaji saya ni? saya tiada komitment lain melainkan potongan epf/socso. boleh tolong emailkan quotation untuk saya beserta dokumen yang diperlukan jika saya layak? terima kasih banyak-banyak. Wasalam, yes tiada masalah. Sila check email you utk dapatkan quotation dan hubungi kami semula jika you ada sebarang soalan. Thanks! boleh beritahu saya cara pembayaran permulaan sehingga mendapat kereta? Wasalam bro, dealer kami hanya berada di KL dan selangor. Kami tidak dapat membantu tuan jika tuan berada di Sarawak. salam. boleh emel quotation untuk saga flx 1.3 auto metallic. gaji sekarang dah naik kepada gaji pokok rm2000. bersih rm1975.25. kerja sektor perindustrian je, swasta. downpayment 10%. tak pernah ada pinjaman b4. so xde track record. usia 26+. blom kawin. boleh ke buat pinjaman tanpa penjamin? Wasalam, kami sudah emailkan quotation tetapi masih tidak dapat reply daripada saudari. Wasalam tuan, you perlu dapatkan penjamin kerana gaji bersih tuan tidak memenuhi syarat. Sila check email you utk maklumat lanjut. hallo, sye nak tnyer kalo gaji bersih 1200.. downpymt 5000 bpe bulanan untuk saga flx 1.3 (M) tuk 9thun..
Hi Ros, you perlukan penjamin jika you berminat. Gaji bersih you tidak memenuhi syarat kelayakan yang ditetapkan. Assalam..nak ambil saga FLX..boleh gabung dengan gaji isteri x? dan nak trade in wira aeroback 1.3.berapa ye boleh? Wasalam, kami boleh cuba bantu. Sila nyatakan model wira tersebut dan berapakah gaji bersih you dan isteri? Waslaam, kalau you ada penjamin yang bergaji lebih 2k, ia mungkin membantu. if my guarantor does not pay income tax, also cn be my guarantor? salam..saya nak tanya..jika saya nak amik saga 1.3 standard auto..zero d/p..boleh ke..gaji bersih saya 1700..dan ade pnjaman asb sebanyak 275..
Wasalam, yes kami boleh cuba dapatkan pinjaman bagi pihak you jika you berminat. Sila check email tuan untuk maklumat selanjutnya. hello i am still in study but i have to buy a car (degree)…my parent willing to be my guarantor..if possible i want to buy saga flx 1.3-9 years loan..how much did my monthly and what is the requirement…pliss reply ASAP. Hi, we have emailed you the details of what you need. Please prepare the documents as listed in the email. i want to buy as a full loan…i mean 0 dawnpayment. Is that posibble now? and what is the requirement? Hi there, depends on your guarantor’s net salary. Please provide us the documents so that we can have it check by our bank panels. Hi admin, saya hujung bulan ni genap 3 bulan bekerja, saya minat dgn saga flx metalic (auto). Gaji bersih RM1750. Saya nak loan penuh. Area Puchong. Hi Chin, yes sila check email you utk maklumat lanjut. Proton dealer kami pon ada di Puchong. Hi admin, document untuk loan boleh email sahaja PDF file kan? Lepas loan approve, di mana ambil kereta? atau pihak admin hantar kereta terus ke rumah ke? Saya dah beli no plate RM210 di JPJ untuk admin register JPJ. Perlukah kita berjumpa face-to-face serahkan dokumen no plate beli ini? Atau boleh email sahaja? No plate tu saya beli direct JPJ waktu running number minggu lepas WYB XXXX. TQ. (S) adalah solid dan (M) adalah metallic.Please check your email utk maklumat lanjut. hi,sy berminat dgn saga flx 1.6 solid,kalo nk o d/payment blh?9thn,brp monthly? Hi Wai, kami dah emailkan quotation. Hubungi kami bila you dah bersedia. Hi, kami tak boleh handle case OKU. You kena deal with Perodua branch, not Perodua Dealer. sorry for disturb here, i m Rainzy. i have a problem now that what model of car i should choose between saga flx 1.3 and myvi 1.3. can you give me suggestion and compare it..then my net salary is Rm1650..what model that should i choose?? Tanpa D/payment, boleh emelkan quotation utk proton saga flx 1.6 se utk 7 n 9 yrs? Lulus x utk loan bank? Hi Horio, yes boleh lulus tanpa masalah. Sila check email you utk quotation. hi…i plan to buy executive 1.3(s), without downpayment, installment for 9 year, nett salary 1.2k. can i get bank loan approval? Hi Reyko, we have emailed you the details. You are more likely need to provide a guarantor in order to get the loan. Is that possible? Hi yes you boleh dapatkan loan tersebut. Berkemungkinan you tak perlukan penjamin. Cuma utk dapatkan kelulusan dengan lebih mudah, kami nasihatkan tuan utk dapatkan ayah/ibu yang masih berkerja sebagai penjamin. Sila check email you. Hi sy rnie.. berminat dgn saga flx auto.. nk tau price terkini..
sy penjawat awam, basic 1600+ elaun, adalah 2k lebih.. klu xnk d/payment, brape agak2 sebulan utk 9 thn? Salam nur, kami dah emailkan quotation. You berminat dengan model ape? Executive 1.3 (M).. mtk send dkt emel y ni ekk.. emel td prob..
Hi Nur, we have emailed you the emails. You nk buat berape down payment? One of my friend nak apply loan kereta,gaji dia semua ok,kerja swasta..
Tapi masalahnya tak cukup umur,kena ada penjamin. Ibu/ayah dia tak bekerja lagi,tak ada adik beradik untuk jadi penjamin. Ada seorang saudara dia kerja government,bolehkah dia jadi penjamin untuk kawan saya? Yes, boleh. Saudara dia boleh jadi penjamin, tiada masalah. Document apa yg perlu sy hantar untuk saga flx 1.3..
Hi tina, kami dah emailkan dokumen yang diperlukan. Sila hubungi kami semula jika you ada sebarang soalan. Hi Kims, we have emailed you the details. Appreciate your reply. Thanks! Hi Mas, berapa baki full settlement bagi Viva 660 tersebut? Salam.. saya keje swasta net 1.3K/month. ada side income lain RM500/month. tp xde lesen/sebarang agreement (tusyen kt umah hjung mggu). boleh ker lepas kalau model saga flx executive manual? Wasalam Zall, kemungkinan besar you perlukan penjamin. Boleh ke you cari penjamin? Trade in Wira 1.5(M) 1993? Sila hubungi kami di 019-3559448 jika you berminat. gaji basic sy rm1200 + OT =RM1600-RM1700 setiap bulan…saga 1.3 flx AT..layak ke kalu saya loan,9 tahun dan 0 downpayment..brape installment bulan2 ek? Hi, you perlukan penjamin kerana gaji bersih dibawah RM 1,500. OT tidak dikira oleh pihak bank. Kalau you ada penjamin, baru kami boleh bantu. hi.sy pernah blacklist sbb jdi penjamin ibu saya, skrg dah sattle, gaji sy bersih rm1500.00, bole x sy ambik saga flx auto?klu kene guna penjamin, ibu saya boleh x?dia xbekerja, tp slip bank dia tiap bln ade deposit rm2000-5000. Salam Mira, you ada penjamin selain daripada ibu you? Hi, I am not Malaysian. I am an expatriate working as Lecturer in Pinang. I want to get Proton FLX 1.3 and would like to trade-in my proton Iswara. Kindly send the details to my mail asap. Thanks. Hi there, we have emailed you the details. What’s your current car? Thanks for your mail. I would like to ask you some questions. 1. I want to trade in my old car ( Proton Iswara, 1.3 (M)- 1998 with good condition). and exchange with proton saga flx 1.3 or Myvi SE 1.3.? Is there anything, that i can choose only proton? not perodua ?? 3. Kindly help to choose a new car.. I am going to stay here maximum 3 years. I need less maintenance, safe and secure, comfort and very importantly Resale value. My two choices are Saga FLX 1.3 Exe and Myvi SE 1.3. ( some friends are telling myvi is best and good resale value and some other telling that Saga 1.3 best and economic. 4. how much they will fix my trade in car (Proton Iswara, 98 M, 1.3)? Hi, do you have a family here in Malaysia? If yes, it is better to go for a sedan car which is the Saga. If not, we would recommend you to get the Myvi as it has better fuel efficiency and resale value. Let us know if you are interested to proceed by giving us a call at 019-3559448. Wasalam, you ada penjamin ibu/ayah? Berapa average income? anggaran, dalam seminggu saya boleh buat jualan dalam anggaran RM500-RM600 untung jualan..
Hi Zue, you kena ada penjamin juga, ibu/bapa yang masih berkerja. Boleh dapatkan penjamin? ibu xbekerja.. ayah sahaja.. tp ayah blcklist pulak. so tu la susah sikit. Ada sedara mara yang berkerja yang sanggup jadi penjamin? salam. encik ihsan, saya post-graduate tp dah lama dah.. sebelum ni kerja dgn ayah dan baru sekarang dpt kerja dgn swasta. jadi boleh ke kalau saya nak ambil saga flx 1.3 manual ni sebelum gaji bulan ketiga.? dan 0% downpayment(sbb takde cash).? sekiranya boleh, apakah requirement utk saya dan berapakah ansuran bulanan ye..? harap bole bantu jelaskan..
boleh emailkan jawapan kpd saya ye. Salam Sufi, kami sudah emailkan jawapan. Sila hubungi kami semula jika you ada sebarang soalan mengenai proses loan tersebut. Salam.. Nama sy hafiz.. Sy berminat untuk memiliki saga flx standard 1.3 zero downpayment.. Bole ke? Sy bekerja pemandu lori ais dan gaji sy dibayar hari.. So xde payslip dan duit jarang masuk bank.. Gaji sy bole dpt dlm 1700 sbln.. Adakah sy layak memohon? Wasalam, you perlukan penjamin bagi kes ini. Ayah/ibu you masih bekerja? Ayah da meninggal.. Tp ibu masih bekerja.. Tp ibu kerja cleaner sekolah je.. Boleh ke ibu sy jd penjamin? Kalau you ada slip gaji dan bank in, mmg boleh. Tapi case gaji dibayar secara cash mmg susah bank nk approve. Kalau ada makcik/pakcik yang boleh bantu? Assalam..isteri sy nak beli kereta saga flx 1.3 standard..gaji die around 1200K.. sy keje gov gaji 2k tp xboleh jd guarento sbb crisis history..dah cuba ayah die sbg quarento dah pencen dah pencen dan masih contrck dgn JBA..income ayah die -+ dlm rm3500..tp xlepas juga..kalo nak guna ibu die pulak sbg quarento boleh x? ibu die berniaga sendiri..pengusaha kantin..agak2 lepas x? Salam, gaji income ibu sebulan berapa? Berapakah umur beliau? Salam Izwan, yes boleh apply tanpa penjamin. Sila check email you utk maklumat lanjut. Hi, I just graduated with a degree and i would like to get a saga flx 1.3 auto, is it possible to get loan without pay slip and downpayment? Hi there, yes it is possible. We have sent you the details and please get back to us if have any further question. Hi, saya mempunyai sebuah saga FLX SE, saya nak membeli sebuah lagi saga FLX 1.3 (manual standard) untuk isteri saya, gaji bersih saya dlm lingkungan 2K dan ccm FLX SE tu 558 sebulan..masih dapat loan lg ke? Salam, gaji bersih you tu after tolak 558 ke sebelum? Isteri you berkerja ke tak? Sy lepasan degree dan bekerja tetap di sektor swasta dengan gaji nett around 1.6-1.7 k. Lepas x buat full loan bagi saga flx se? 1st car, blm pernah buat loan. Boleh tuan, kami boleh cuba. Cuma kalau you nak dapatkan kelulsan pinjaman dengan lebih mudah, you ambil model saga Executive. Sila check email you utk maklumat lanjut. Sy lepasan diploma. Bekerja sektor swasta xsampai lagi sebulan dengan gaji bersih Rm1400. Boleh saya beli saga executive 1.3 metalic auto tanpa downpayment x? Loan pihak bank terima x dengan gaji saya itu? berapa ansuran bulanan? Salam tuan, you perlukan penjamin jika berhasrat utk dapatkan kelulusan pinjaman kerana gaji you tidak memenuhi syarat kelayakan. Kalau ada downpayment 10% dengan gaji rm1400 lulus x bank? Kalau 10% sekalipun, bank akan tetap suruh you sediakan penjamin. Proton Saga FLX 1.6 Auto – color Putih. interior full leather. berapa price & interest rate. Salam Norr, kami dah emailkan quotation. Interest dalam range 2.7-2.9% bergantung kepada kelulusan bank. gaji basic sy rm 1200..biasa campur ot dpt dlm rm1700 sebulan. kalau sy nk beli saga flx 1.3 dgn kaedah 0 d/p atau skim graduan boleh lepas x?sy ada penjamin.bayaran bulanan berapa ye? Hi Rudy, you perlukan penjamin ayah/ibu yang masih bekerja kerana gaji bersih you tanpa OT tidak memenuhi syarat kelayakan. Jika tuan ada penjamin, kami boleh cuba bantu. hi. saya ada itu gaji rm2500 basic.jika saya mahu kasi beli sama itu saga 1.6 SE,itu macam mana juga ya? Please call us for the latest price and promotion. adakah boleh kalau saya mahu trade in motor saya dengan saga flx? Mana boleh cmtu. You jual sahaja kat kedai motor. Salam, my bro nak beli saga flx (s) manual 1.3, but his net salary RM1200, Penjamin tak de, so he decided to gabung gaji dengan mak saya, total kalau gabung RM2000. layak tak? Wasalam, adik you perlukan penjamin yang bergaji at least 2k utk dapatkan kelulusan pinjaman dengan lebih mudah. salam saya berminat dengan Saga Executive gaji basic 1600, baru tamat ijazah, kerja baru sebulan. kalau downpayment RM2000, berapa monthly installment ye? Wasalam miss tya, kami dah emailkan quotation dan hubungi kami semula jika you ada sebarang soalan. You tidak perlukan sediakan pay slip. Cuba check email you semula. Kami baru resend email kami. Salam, saya ada terbaca tentang Saga SV.. boleh saya dptkan info tentang kereta ini? bagaimana pula bayaran nye?? for fullloan.. gji bwah 2k boleh apply ke? blacklist sum more..
Wasalam, kalau dah blaklist, kami mmg tak dapat bantu nina dalam mendapatkan loan tersebut. Hello, I am currently finishing my degree of study and going for the internship program next month. Is it possible for me to apply for the Graduate Scheme since I do not have a formal job? Hi there, you need a guarantor, is that possible? can you give me detail on saga flx. kindly my downpayment is about rm5000. monthly income RM1200…what is the monthly payment?? Hi Rub, based on your salary, you need to provide a guarantor. Is that possible? Kami dah emailkan quotation dan segala maklumat mengenai Proton Saga ini boleh didapati di dalam quotation tersebut. hi,bro..,sy berminat dgn saga flx 1.6,monthly salary+elaun 2150,kalo sy nk full loan without downpayment utk 9tahun blh?brp monthly payment + interest rate? Sure, we have emailed you the quotation as well as the documents needed to apply for the car loan. sy bru beli saga flx standard ..bajet2 nak pakai raya tetiba salesmen kata takde stok sb permintaan tinggi..betul ke??? pastu dia suh byr RM2ribu++ untuk upgrade ke exec…boleh ke mcm tue? Yes, boleh kalau nak upgrade macam tu. Kalau you berminat, kami boleh cuba bantu. Sila hubungi kami di 019-3559448.
assalamualaikum.. saya berumur 20 tahun, baru bekerja swasta dalam 4 bulan, basic rm700 je, ibu bekerja sendiri, tiada payslip dan masih ada loan kereta dengan ayah sebagai penjamin dalam rm13000.. ayah ada dua slip gaji anggaran rm3000, rasaya boleh tak lepas buat loan utk saga flx auto? ayah umur 54 dan ibu umur 50 thun..
anggaran rm 300 tu adalah bila di + 2 slip gaji..
saya adalah ude yg diatas, ini email saya yang betul.. atas jawapan anda saya ucapkan terima kasih..
Wasalam, Kalau beli atas nama ayah you mungkin boleh kerana umur you yang masih muda dan gaji basic tidak memenuhi syarat. Kalau trade in alza 2010 premium, pinjaman dah habis. Berapa boleh ambik? Auto or manual? Bila plan nk jual? Kami dah emailkan link bagi quotation utk kereta baru. Boleh hubungi kami di 019-3559448 jika you berminat untuk berjumpa dengan dealer used car kami. Assalamualaikum. I would like to know. If I’m interested in buying the executive 1.6 cvt, is it possible to make zero down payment? I’m a government servant and my salary is around RM2500. This would be my first car and I have little idea about the interest rate and the method of payment. Any constructive reply will be much appreciated. Thank you. Wasalam, yes it is possible. Please check your email for more information on the loan payment details. saya ada motor honda c70.jikalau saya mahu trade in motor ini dengan saga flx 1.6 se,bagaimana caranya ya… ? Motor tu you boleh jual di mana-mana kedai motor dan sila check email you utk dapatkan quotation bagi kereta Proton Saga. Salam. I’ve recently graduated and will be started working with nett salary of RM1800 + commissions and allowance. is it eligible for me to buy saga flx se? if do so, could you please email me the detail of how can i apply a loan to buy a car with the least downpayment that can be given by your company. Wasalam, you can pay as low as 0% down payment. Please check your email if you are interested to make a purchase. saya nak beli kereta saga flx, tp saya menganggur.agak2 boleh tak saya beli kereta dengan kaedah 0 downpayment?bulanan opah saya bayarkan. You perlukan penjamin yang sudah berkerja. saya kerja swasta,,basic rm1.5k + rm200 allowance..bersih dlm rm1.5k monthly..minat nk apply saga 1.3(M) standard..possible x utk dpt loan dgn rm1k down payment shj?1 lg,sy x pnah buat pinjaman..
Kami dah emailkan quotation dan kami boleh cuba bantu jika tuan berminat. Hi Zura, kami dah emailkan quotation bagi Proton saga. Salam,sy pekerja swasta bergaji basic rm2200 sebulan.berminat utk apply saga standart 1.3 (m) cvt (9 years) dgn 0 downpayment.Adakah sy layak,apa patut sy buat & berapa sy perlu bayar tiap bulan utk memiliki kereta tersebut? Wasalam Alif, yes you layak..kami dah emailkan quotation bagi Proton Saga tersebut. Saya OKU berdaftar dengan JKM. dan saya faham bahawa saya berkelayakan untuk mendapatkan potongan harga untuk kereta keluaran Malaysia seperti duti eksais. Boleh saya tahu berapa harga selepas pemotongan duti eksais untuk Suprima S Premium? Waalaikumussalam. Berkenaan dengan soalan di atas, kami syorkan agar you dapatkan khidmat nasihat di Proton Branch. I just want to check. what is the monthly repayment if I would want to strech to 9 yrs with 0 downpayment ? 2. Once the booking is done. How long it would normally take to get the car? Hi there, usually it will take around 2-3 weeks. Please check your email for the quotation for this Proton Saga FLX. Assalamualaikum..my nett pay rm3k + allowance & i’m gov servant,. Wasalam, you can either pay 0% or 10% down payment. Both would work. Please check your email. Wasalam Iza, kami ada model warna putih. Berminat? itu putih pun cantik maa..saya ada 1 satu juga..
xberkenan lor..nk merah jgk..npe eh proton lmbt kuarkn saga flx se merah(metalic) sdgkn permintaan tinggi? ?musykil disitu..
My salary is 5.5k RM working as a software Engineer. Interested in Executive(M). I am currently on Employment pass Visa till sept 2014. Visa is just issued. Let me know the procedure or I need to wait till three months for bank statements? We have emailed the details and please let us know if you have any further question. can i have saga flx se with green colour (metallic) sir? hi.. saya bekerja kerajaan di Imigresen..bergaji bersih Rm1500 (setelah tolak semua loan2), saya berminat nak beli saga blm auto..kalau nk 100% loan boleh? dan ready stock kaler apa yg ada? kalau sy di Johor mcm mana nk amek keter kalau loan approved? Boleh, kami boleh uruskan dan sila hubungi kami di 019-3559448 dan urusan semua boleh buat di Johor, dan ambil kereta di Selangor. encik, saya ada motor mahu kasi trade in sama you.saya mahu ambil saga flx 1.6.boleh ke encik? Possible, give us a call to discuss. salam, gaji saya capur elaun sebanyak rm1700, nak dapatkan saga flx 1.6.. ada kwsp dan penjamin kakak.. agak2 lulus x loan tuan? Wasalam, kami dah emailkan. Yes, boleh lulus insyaAllah. as salam..sy berminat dengan saga flx 1.6.. basic salary 1600.. boleh tak kalau nk apply full loan.. dokumen ap yg perlu sy sediakan..n bgaimana lak dgn grade scheme..perlukan guarantor x? Wasalam, yes you perlukan penjamin. Sila hubungi kami di 019-3559448 jika you berminat. sy keje gov about 5month.. basic salary1687k.. if sy nk bli saga flx stndard auto brape monthly? dp10k? Hi Quena, kami dah emailkan quotation. Sila hubungi kami jika you ada sebarang soalan. Salam. Saya masih dalam pemilihan utk beli saga cvt 1.3 atau cvt 1.6. Saya nak pastikan yang mana lebih berbaloi dari segi keselamatan dan penjimatan minyak. Terima kasih. Wasalam, kami dah emailkan jawapan berserta dengan quotation. Jika saudari berminat, boleh hubungi kami di 019-3559448. Salam Abbas, yes mungkin boleh lulus bergantung kepada bank. Kalau tuan ada penjamin, ia lebih membantu. Boleh hubungi kami di 019-3559448 jika tuan berminat. Salam, boleh kami tahu berapa gaji dan umur beliau? Kalau cmtu, boleh je bagi dokumen you tanpa penjamin and kami boleh cuba dapatkan pinjaman. saya pekerja swasta.gaji bersih RM1500 sebulan.agak-agak lulus tak kalu saya nak beli 2 buah saga flx 1.6 dalam satu masa…? Hanya satu je boleh kalau you betul-betul berminat. saya dh black list loan keta.bleh bli keta lg tak?gji brsih rm2+++..
Hi im lookin to get saga Standard 1.3 (S). using skim graduan. just started working. nett pay 2400. how soon if everyhting ok, can i get the car.? Hey, please check your email for the quotation. We’d recommend you to make a booking asap due to limited stock. Hi Bee, you perlukan penjamin kerana gaji you tidak memenuhi syarat. sy lepasan ijazah..tp dh stahun bkerja..boleh dapat lg ke skim graduan? You kena ada penjamin juga kerana gaji bersih tersebut tidak memenuhi syarat. I am highly interested to buy Saga 1.3 SV CVT. You will be kind enough if you provide me your quotation before we can proceed. Wasalam, sure, but your email is invalid. Please email us for more info. Hi, I am highly interested to buy Proton Saga 1.3 (M) Executive CVT. This is my first own car. I am a college student. If I pay the down payment of RM12,000 (estimation only), and my job is a part-time job (approximately RM1600 per month), do I get a chance to get the full loan to get this car? Hi Gary, we have sent you the quotation and you need to provide a guarantor if you plan to get your loan approved. Wasalam, kami dah hantarkan quotation ke email saudari. Sila hubungi kami jika you ada sebarang soalan. HAI, saya mempunya pendapatan bersih sebanyak rm1650.25 permonth , then saya nak letak downpayment sebanyak 3500, berapa yang perlu saya bayar jika pembayaran selama 9 tahun ? jika saya lepasan graduasi, ada apa-apa promotion ? SAGA SE MANUAL(SOLID). Hai, proton tidak lagi menawarkan sebarang promosi bagi lepasan graduasi dan kami telah emailkan quotation berserta free gifts yang akan diberikan oleh pihak kami. salam tuan,saya mempunyai model saga 1.3cvt flx exe baru berusia + – 21 bulan. saya nak upgrade/trade in ke model 1.6.Loan start pada may 2012 untuk 9 tahun.Brapa bayaran yg perlu ditambah dan bagaimana pihak bank recalculate loan saya jika layak.apa yg perlu saya buat?gaji bersih rm2500.sekian terima kasih. salam,, sye berminat nak buat loan. ape syarat syarat nya admin? salam.saya kerja goverment, gaji bersih 1400 perlu ke saya ada penjamin untuk beli kereta proton saga flx 1.3..
Wasalam, yes kemungkinan besar you perlukan penjamin. Berapa lama dah you bekerja? Hi Ajoi, boleh serahkan document and kami cuba dapatkan pinjaman terlebih dahulu. Sila hubungi kami di 019-3559448 jika berminat. Susah kalau nak dapatkan loan lebih dari 100k bagi kes seperti you. Wlupun byr muka rm13000..msh xboleh ker?boleh guna penjamin lain lg x? Kalau bt muka rm13000 pn xdpt ker?tp nk tnyer jgk,boleh ker pki penjamin lain? Boleh guna penjamin lain kalau ada dan sebenarnya you boleh sahaja cuba joint loan dengan suami and check kelayakan dengan pihak bank. salam.sy nak tanye,sy akan start keje 1april ni dgn basic salary rm2200. kalau sy nk apply saga 1.6 menggunakan skim graduan,dan dalam mase yg same nk apply loan dlm 20k untuk motosikal,adakah sy layak? penjamin diperlukan? Wasalam, you tidak perlukan penjamin kalau you apply before you beli motor tersebut. kalau guna skim graduan,dgn basic tersebut,sy tak perlukan penjamin? berapa lame proses untuk keluarkan kereta? saya graduan sudah bekerja 4 bulan..basic gaji rm1400… saya berminat nak amnik saga flx se auto standard dgn d/payment rm2000. boleh lepas tak ?? salam, tuan …. melakukan diskaun untuk Orang Kurang Upaya? hai,sya nak Tanya ada tak saga flx 1.6 standard manual? Hi Nono, boleh. Kami dah emailkan quotation harga proton saga SV. Hello… i would like to know the prices for saga FLX with 0 dwnpayment.. kindly send me the details with its interest rate…. Hi Sham, we can help you in getting 0% down payment. Pm us for details. nak tanye, brape yang saya kena bayar if saya nak ambik saga flx se auto? saya nak trade in viva elite 3 tahun dah saya pakai..gaji bersih rm 1400. adakah saya perlu penjamin dan berapa kadar sebulan? salam, gaji basic saya RM7000, jika saya mahu trade in motor ducati monster(sudah habis bayar) saya dengan sebuah kereta saga flx 1.6, adakah boleh? Hi, Im a fresh graduate (degree holder, 22 years old), i just get my offer letter and my monthly salary will be RM3500. But i DONT HAVE ANY PAYSLIP yet, am i eligible to apply for the skim graduan loan with my OFFER LETTER only? Please advise. Thank you very much! Hi, quotation sent. Yes you can use the offer letter. penjamin mesti terdiri dari ayah/ibu sahaja utk dapatkan kelulusan dengan lebih mudah. Salam..sya nak tnya..basic saya dalam RM 1500 sebulan dan sya ada income dr rumah sya yg sya bg sewa dlm RM 500 sebulan..adakah sya layak nak beli saga flx 1.3 cvt exec? Jika tak layak..klu guna penjamin..sya tiada ibu dan ayah..kalau pak cik yg masih berkerja d sektor swasta boleh ke? TQ..
hye….i wana ask…m a government employee but wish to take normal car loan only…i wish to buy saga flx 1.3 manual and my monthly income is rm2000….what would be the monthly installment pay??? ?and what would be the interest rate? Boleh lepas jika 9 tahun. Saya nak tanya saya bekerja di hotel sudah 6 bulan basic gaji 1600 saya berminat dengan kereta saga FLX 1.3.monthly rm berapa 9tahun or 7tahun.lpas tak ? Saya ejal saya bekerja di hotel sebagai steward sudah 6 bulan utk kereta saga FLX 1.3.monthly rm berapa 9tahun lepas tak ?